NexGard Spectra Chewable Tablets are used to treat & prevent against a large number of internal & external parasites on dogs. NexGard Spectra Chewable Tablets are currently out of stock due to manufacturing issues. They are expected back in July 2018. 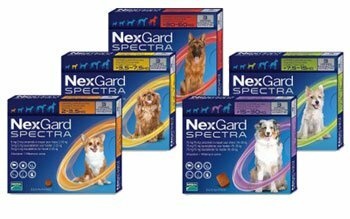 NexGard Spectra Chewable Tablets treat flea infestations for 5 weeks & tick infestations for 4 weeks. In addition, NexGard Spectra Chewable Tablets also prevent against heartworm disease, when given every month. Warnings & Contraindications- Consult your vet before giving to puppies less than 8 weeks old or 2kg in weight. 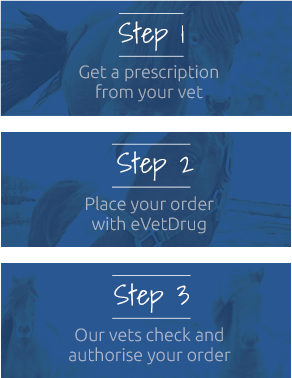 Pregnancy & Lactation- Seek advice from your Vet.This product requires a prescription from your vet & will only be dispatched once we receive this prescription.